Nearly a year and a half after these cyber-driven protests, this forum will explore the convergence of social media and social justice. Convening diverse panels of bloggers of color, faculty, students and activists, the forum will focus on the rise of the blogosphere in New Orleans and the unique ways that grassroots media can be utilized to enhance pedagogical practices as we seek to realize the Xavier mission of a more just and humane society. Beyond Jena: A Forum on Bloggers of Color, Education and Social Justice in New Orleans was held Jan. 31, 2009 from 9:00 a.m. to 3:30 p.m. in the University Center Ballroom at Xavier University of Louisiana. 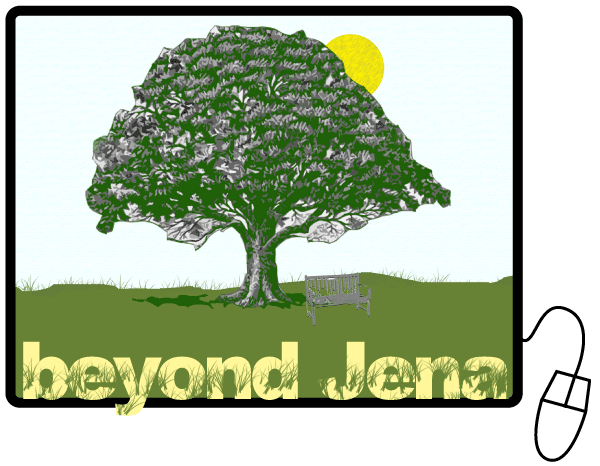 Beyond Jena logo by Cline Bailey.